Over the years I have bought a fair amount of Thai gold jewelry. In summary, I can say, based on experience, that fine Thai jewelry ranges in fineness from 750 parts per 1000 (18K) to 950 parts per 1000 (23K). Thus, fine Thai gold jewelry is very high karat. 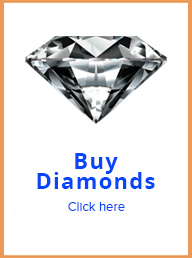 This article is about, from my experience as a gold buyer, what are my finding in dealing with Thai gold jewelry. I have bought plenty of Thai gold jewelry from Thai persons who in turn bought the Thai gold jewelry from Thai goldsmiths in Thailand. In this article, I am referring about gold that was originally bought in Thailand, and as much as possible it was manufactured by a Thai goldsmith in Thailand. To begin with, not all “Thai gold Jewelry” is from Thailand. Laotian (from Laos), and Cambodian gold jewelry is very similar in most aspects. It is just that the term “Thai Gold” has become a generic term for gold jewelry from that part of the world. One unique feature of Thai gold is the use of the Baht gold weight measure unit. A Baht is 15.244 grams. Thus, one identifier of Thai Gold is that is based on the Baht. In theory, and mostly in practice, a Baht is 15.244 grams of 96% (23K) gold. 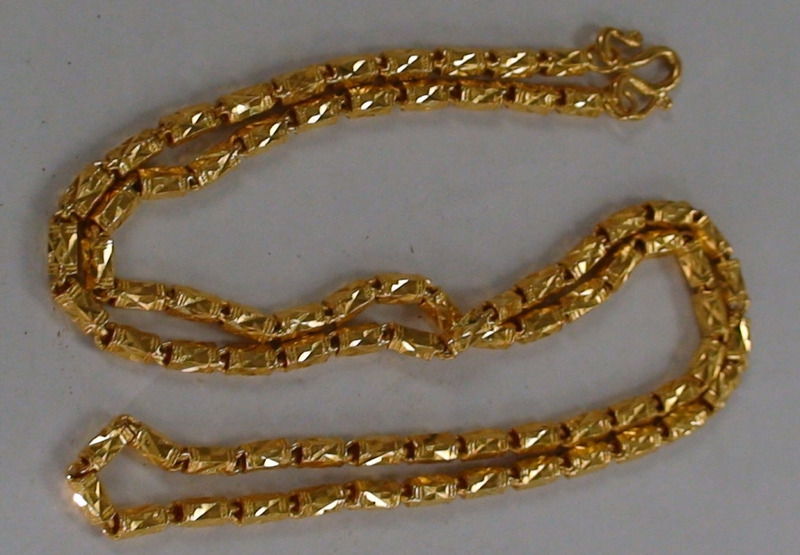 Thus, a “one baht” chain is a 15.244-gram chain that is 96% fine gold. A “two baht” chain would be the same fineness, but twice as heavy. The main issue with accurately assessing the purity of Thai gold jewelry is that is very un-uniform in its composition. It seems that Thai goldsmiths alloy their jewelry gold material based on non-standard criteria. 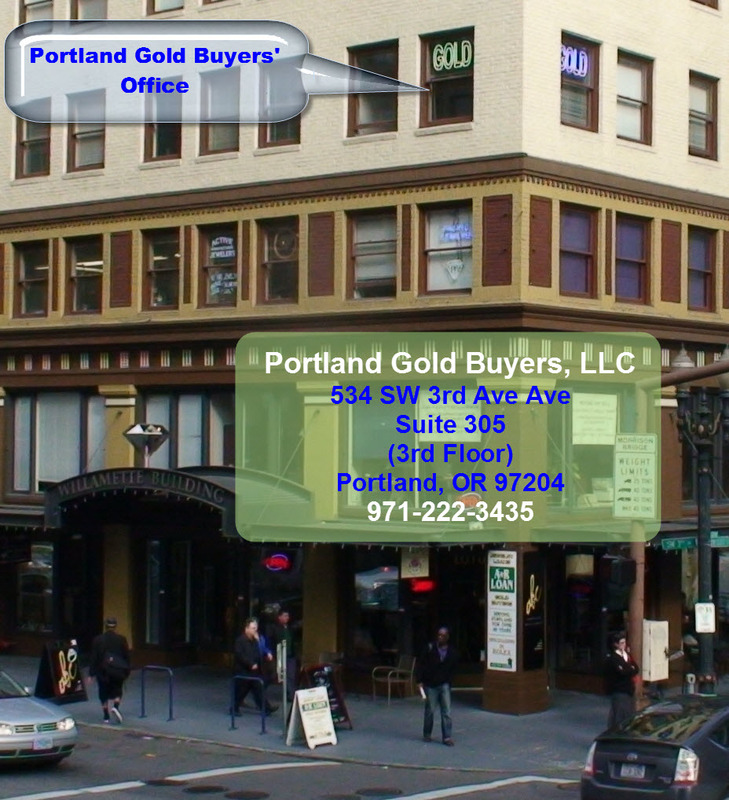 At least, they are using gold jewelry composition standards that are hard for the gold buyer to identify. This does not have to do anything with quality. Thai gold jewelry is most often very high karat, meaning it has a lot of gold content, and it is very well crafted. I have learned about the fineness of Thai gold jewelry by buying it. 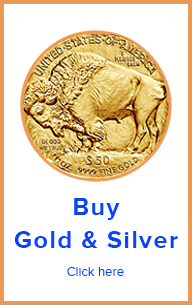 As a gold buyer I need to quickly make a very good estimate of the approximate gold content of the jewelry I am buying. For this I use mostly electronic testers. As a backup, or to confirm, I also use the the acid rub test. In addition, every time I can, I request the refiner to individually test gold jewelry with their XRF Spectrometer (X Ray Florescence) equipment, which is very accurate. Modern electronic gold testers are tuned up more for western standards, rather than for Thai and other Asian standards (which vary). Western gold alloy standards are based on the gold jewelry alloy having mostly gold, with silver, and copper, and in white gold, nickel or palladium. Some of confirmed Thai gold jewelry contains no copper. It is just gold with a little bit of silver. This affects how the gold tester algorithm reads the material. It usually reads it high enough that it is hard to determine whether the reading is accurate, or maybe higher. For example, the gold tester may read 19 or 20 karat. Most likely the gold is no less than 18K but really hard to tell if it is 20k or better. A similar phenomenon happens when using the rub test. In the rub (chemical) test, the acids are designed to affect the copper and silver present in the gold piece. However, if there is no copper, then the test result will be off. So it takes additional criteria to judge the fineness of Thai gold using this method.